From the brewery that boasts, “Keeping Beer Weird,” I must admit that I don’t have a ton of experience with Fuggles and Warlock products, but what I’ve tried (such as their Shiva White IPA), I’ve enjoyed. Their tasting room in Richmond, B.C. opens in February and Mrs. Sip and I are hoping to visit early on in its existence. 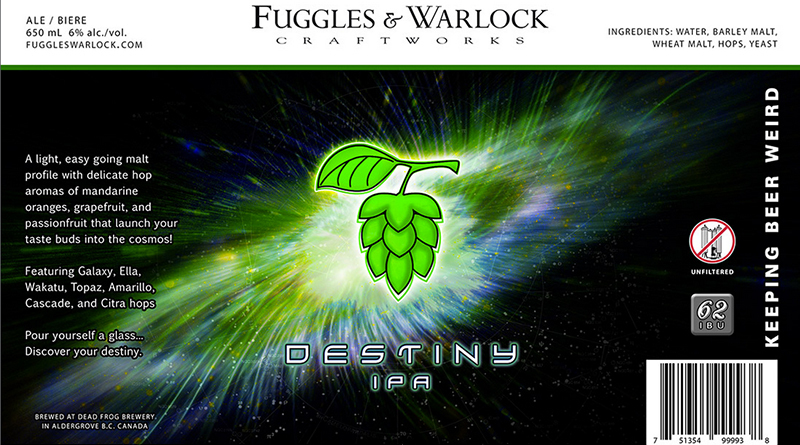 This entry was posted in BC Beer Baron and tagged BC Craft Beer, Craft Beer, Destiny IPA, Fuggles and Warlock Brewing, Richmond, Shiva White IPA, Tasting Room by Daniel Wilson. Bookmark the permalink.